Alvaro Bautista has thrown down a massive gauntlet at the MotorLand Aragon circuit, whilst second to eleventh positions are covered by just one second! 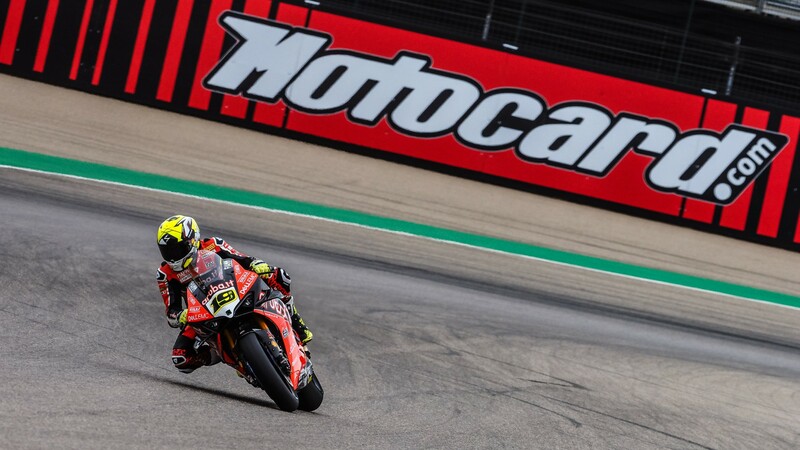 The opening MOTUL FIM Superbike World Championship session at the Motocard Aragon Round saw Alvaro Bautista (ARUBA.IT Racing – Ducati) take top-spot at the dramatic MotorLand Aragon circuit. The Spaniard’s top time was under half-a-second from the outright WorldSBK circuit record at the Spanish track after just one free practice session. 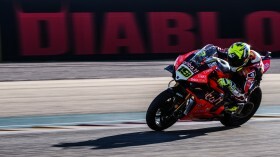 The ARUBA.IT Racing – Ducati pairing of Alvaro Bautista and Chaz Davies were strong from the beginning of the session, as home hero Bautista returned to familiar territory, whilst Chaz Davies getting back to reasonable form at his most successful circuit. Bautista finished the session with more than a second over the opposition, whilst Davies returned to the front, with fourth. 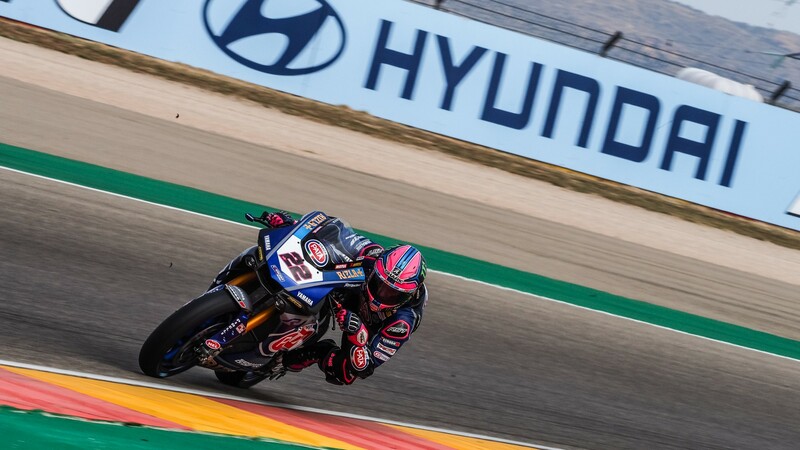 A strong showing from Alex Lowes (PATA Yamaha WorldSBK Team) showed that he looked to continue on his fantastic start to the 2019 season. Having put the Yamaha on the front row at MotorLand Aragon in 2016, he looked strong ahead of the weekend’s action with second position after FP1. Teammate Michael van der Mark had a quiet opening 50 minutes but will look to be at the sharp end come the vital race days. The Dutchman finished eighth. 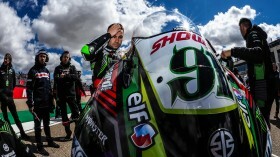 Reigning champion Jonathan Rea (Kawasaki Racing Team WorldSBK) made a welcome return to MotorLand Aragon, where he has three wins. The Ulsterman managed a third position in the opening session of the weekend, although more than a second back from championship leader Bautista. 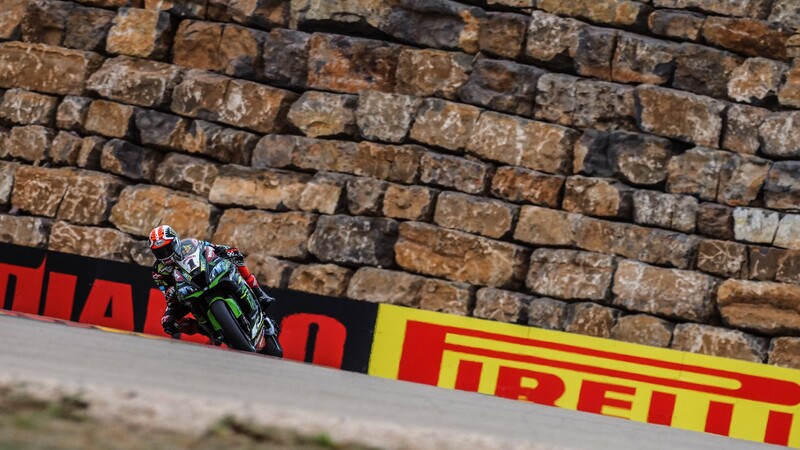 Leon Haslam (Kawasaki Racing Team WorldSBK) returned to the Spanish track for the first time since 2015, dialing himself in well and placing fifth overall. Eugene Laverty (Team Goeleven) opened his Motocard Aragon Round with a sixth place, highlighting a promising return to Europe for the Irishman. He was the top Independent rider, just under four tenths ahead of Sandro Cortese (GRT Yamaha WorldSBK), who finished the session in ninth. Tom Sykes (BMW Motorrad WorldSBK Team) was seventh and looking to fight at the front. The 2013 World Champion was just 0.3s away from the top three places. Teammate Markus Reiterberger was 12th overall. Jordi Torres (Team Pedercini Racing) completed the top ten, to the delight of his home crowd, making it a good start for Spanish riders at home. Watch the rest of the weekend’s action from the WorldSBK class with the WorldSBK VideoPass!